I'm compelled to make the case: I work with robots. I hope you hear me out. Bigbelly robots…and by that I mean, Bigbelly stations... provide a 5X increase in employee productivity by automating much of the work associated with collecting trash and recycling. Our army of Bigbelly stations can be found at supermarkets, retail centers, hospitals, municipalities and college/corporate campuses. So, what is the robot case for our Bigbelly trash and recycling automation system? We've heard plenty of references to Bigbelly as the 'robo-bin,' or the futuristic trash bin. Something that is out of The Jetsons... Fast forward to today and robots are no less fascinating than a futuristic world in outer space, yet hardly the stuff of Lost in Space. Wired Magazine’s interview with MIT Media Labs’ roboticist Kate Darling hit the nail on the head for me, “My definition of a robot, given that there is no very good universal definition, would probably be a physical machine that's usually programmable by a computer that can execute tasks autonomously or automatically by itself,” she says. “What a lot of people tend to follow is this sense, think, act paradigm." 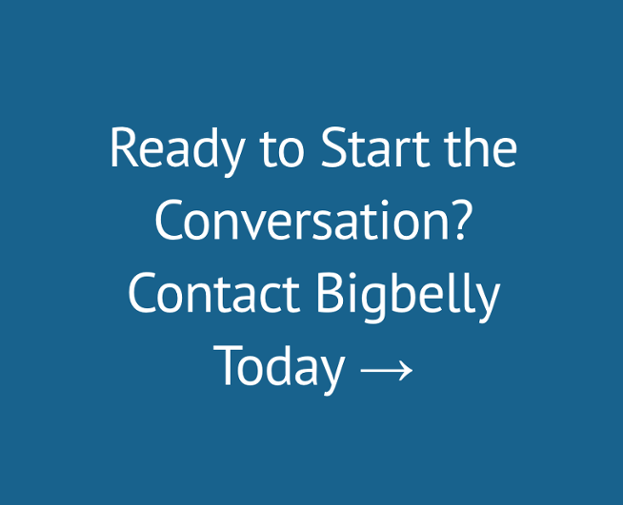 How does Bigbelly fit into this paradigm? Check! Bigbelly’s waste and recycling stations are constantly sensing their surroundings for weather (sunlight), customer usage, trash fullness, volumes, energy harvesting, energy use as well as its health and status. Bigbelly can sense if it’s photoeyes are dirty, how many times someone inserted trash, or even if a human forgot to shut its door after servicing. Check! Bigbelly uses the data it collects to determine (1) Am I full? (2) How full am I? (3) How am I performing? (4) If my performance is off, is it a major, minor, or informational issue? (5) Should I be contacting a human? (6) When was the last time a human attended to the waste? (7) Should I alert a human when the trash is not full, but should still be emptied anyway? (8) Should I run a compaction? (9) How many compactions should I run? ….and the list goes on. Check again! Bigbelly compacts the trash when full or notifies its team if the trash needs be collected for other reasons. After deciding if something lodged in its chute, the Bigbelly will run its ram to dislodge it. Should Bigbelly be having power issues (e.g., being snow covered) it will alter its power usage so that it can continue to communicate and compact until the snow melts. Bigbelly even dials out with a cellular modem when it “thinks” it needs to communicate something. “Sense, think and act,” I think I am working with robots. What do you think? The Wired article referenced above discusses how a remote-controlled drone is not a robot due to human control. But with GPS coordinates and sensors, it wouldn’t need human intervention to get a Pizza delivered hot and fresh while returning safely to pick up your neighbor’s calzone because it is a robot that is autonomously sensing, thinking and acting. Likewise, a self-driving vehicle is indeed a robot for the same reason. However, I wouldn’t say my self-parking car is a robot nor would I suggest my anti-lock braking system makes my car a robot even though the car is sensing, thinking and acting. Perhaps Rototicist Darling’s robot definition should be modified to be when the machine executes its primary tasks autonomously or automatically by itself. I rest my case: Bigbelly is sensing, thinking and acting in order to carry out its primary task of automating waste collections. Bigbelly thinks, therefore is robot. This post is part of a series by Bigbelly’s Director of Private Sector Solutions, Mark Koeck. Mark is an enthusiastic champion of helping organizations transform their front-of-house waste and recycling operations by using technology as a catalyst for change. The Bigbelly smart waste and recycling system is making a notable difference in retailers, grocerers, convenience stores, food service, venues, office buildings, and hospitals across the globe. Mark will be sharing insights and learnings from waste management in these markets, and how technology and automation impact the customer experience, employee productivity, and sustainability for private sector businesses and organizations. We hope these insights pique your interest in the prospect of a smart waste system for these applications. Enjoy!